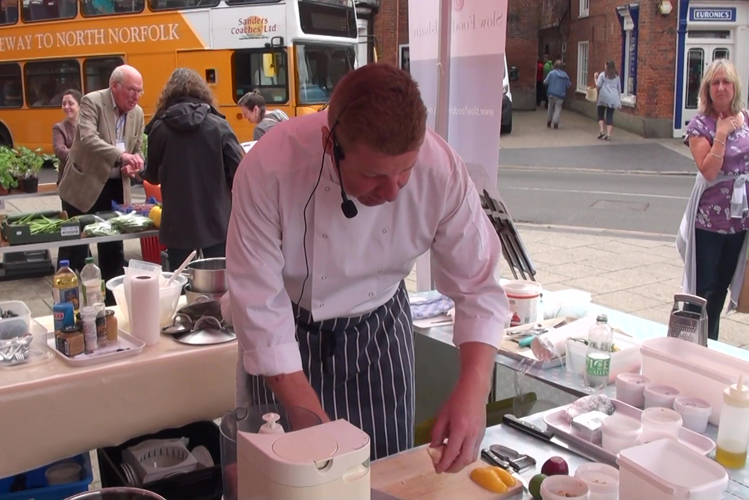 Starting on Saturday 5 May, Cittaslow Aylsham together with Slow Food Aylsham will be presenting free monthly cookery demonstrations in the Market Place, coinciding with the town’s Farmers Market. 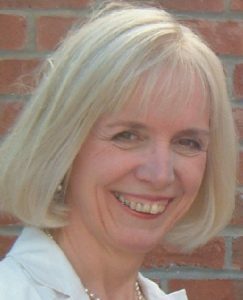 Guest chef in May will be Jill Willis, former head of the Hospitality & Catering faculty at Aylsham High School. Jill has wide experience in catering, having owned her own restaurant together with husband Roger, and has had the opportunity to work with many ‘celebrity chefs’, including Jamie Oliver, Ainsley Harriott and Rick Stein. Wherever possible, seasonal ingredients sourced from the Farmers Market will be used. The demonstration will start at 10.30am, outside the Town Hall but will move inside if the weather dictates. Local chefs to appear at future demonstrations will include Mark Sayers (above) of the Saracen’s Head, Wolterton, Steve Norgate, of The Beechwood, North Walsham and students from Aylsham High School. There’s information about Cittaslow on the Town Council website.